We have the transportable bleachers with single footplanks that you've been looking for. And because its from BuiltRiteBleachers.com you know its always top quality at low prices everyday! 5 Row - 21'L -Transportable w/Single Footplank- Seats 70 - Weight 1370lbs. 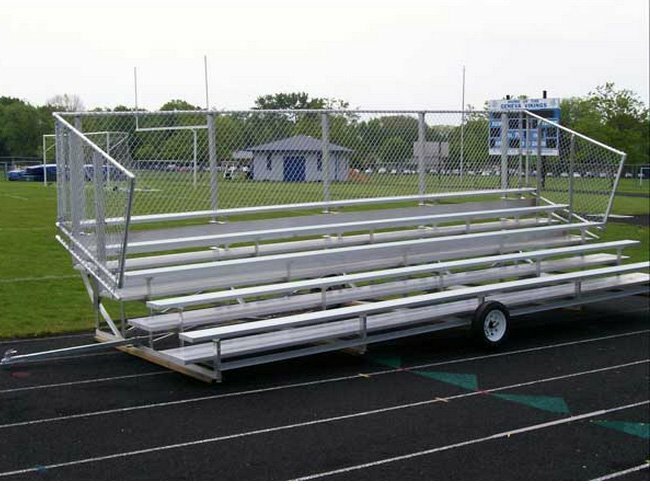 Important Note: The BRB-TKL 5 Row Wheel Kit (Mechanical) is required to make these bleachers operational, be sure to add one with your quote/order, see "Frequently Bought Together" below.